Dove Hearing are experts when it comes to hearing tests and we utilise state of the art facilities to provide the most comprehensive service in Stoke-on-Trent. Our hearing experts have access to the very latest in hearing diagnostic technology and will leave no stone unturned. We have over 35 years of experience. We offer our hearing tests completely free of charge so there’s no reason to avoid it. No matter the severity of the hearing loss or however long you have had it for we can help. Most adults experience hearing loss at some point in their lives but fortunately, hearing aids have never been more powerful, discreet and affordable. We offer an incredible range at our hearing centres in Hanley Stoke-on-Trent from top brands such as Widex, Phonak Lyric, Oticon, Starkey and many many more. Whatever your requirements we can find the right solution for you. It may be that you don’t even need a hearing aid but as the service is free, it certainly doesn’t hurt to find out. If you do require one we will guide you through all the available choices and find the right one for you. 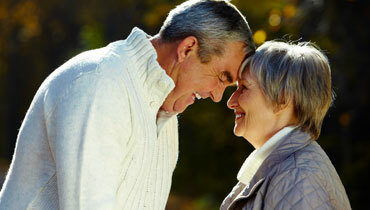 We will also provide free aftercare for you to ensure you adjust to life with your new hearing aid. Dove Hearing also has a 30 day money back guarantee should you not be satisfied with your purchase. There is nowhere better than Dove Hearing Hanley for hearing tests in Stoke. If you would like to know more then please don’t hesitate to get in touch on 01782 253531 or call into one of our hearing centres.